Puritan® uses only the finest materials to create high-quality swabs for use in healthcare, diagnostics, forensics, controlled environments, food processing and more. We combined user feedback and a proprietary research manufacturing process to develop a patented, intricate fiber technology that provides the highest collection and elution capacities available on the market. 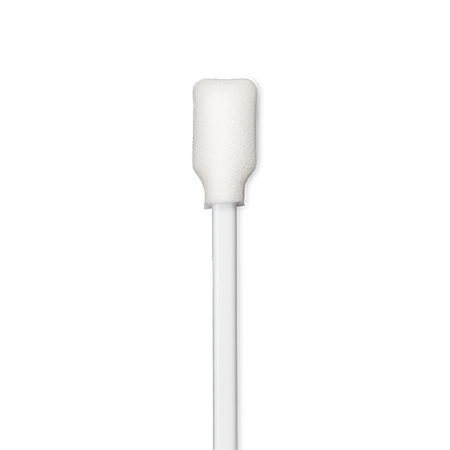 Ultimate purity and efficient cell release characteristics make PurFlock Ultra® flocked swabs ideal for PCR, molecular assays, rapid tests and forensic applications. Tips are made of flocked polyester fibers which have the ability to better absorb organisms at the site — and maintain viability during transport and elution. 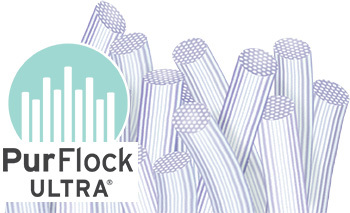 HydraFlock® flocked swabs take PurFlock Ultra one step higher through a special process that blossoms the end of each fiber, multiplying the surface area of the tip. 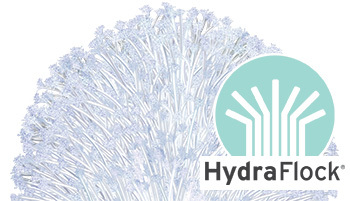 Designed specifically for the collection of biological specimens, HydraFlock® provides higher absorption capacity & complete elution. Puritan will always be in the forefront, meeting the needs of emerging technologies. See our patents. Puritan sources only the finest grade USP cotton, spun polyester and rayon fiber in bales. We card the fiber ourselves to specification to assure consistent quality. How do you know which to choose for which applications? We’ve put together this brief overview on how to choose the right medical swabs based on your specific needs. 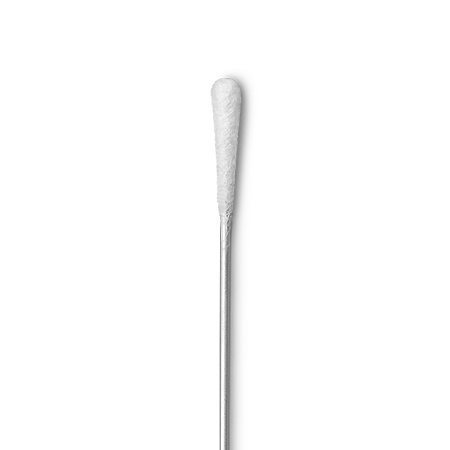 The ultimate tipped applicator, short synthetic fibers applied to the adhesive-coated surface of a synthetic handle tip are known as "flocked swabs". Puritan's US made patented PurFlock Ultra ® and HydraFlock ® applicators bring you optimum collection and release properties in this industry favorite applicator style. 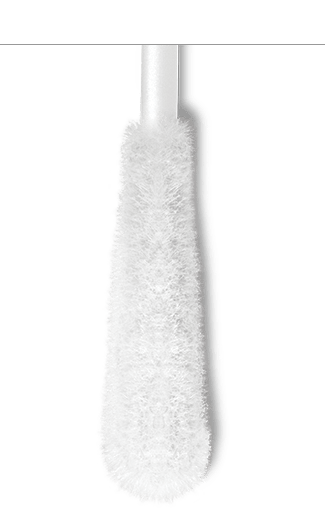 Designed for diagnostic applications, the unique microstructure and exclusive proprietary multi-length fibers of our flocked swabs ensure rapid absorption and complete elution of biological specimens. 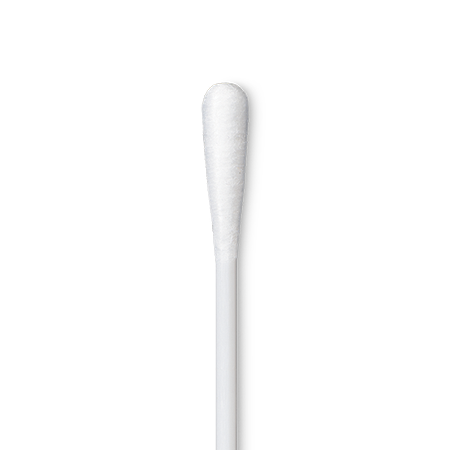 Puritan ® brand cotton tipped applicators have been recognized as the gold standard since 1960. We use only US pharmaceutical-grade spun cotton fiber, the familiar material commonly used in basic patient care, industrial cleaning, and even crime scene investigation. 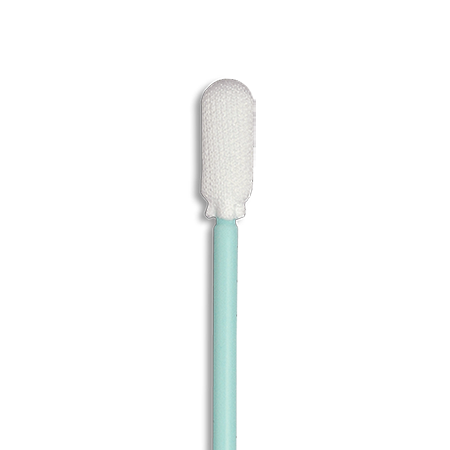 Very absorbent, soft, low cost, and safe, cotton-tipped applicators perform consistently and reliably. 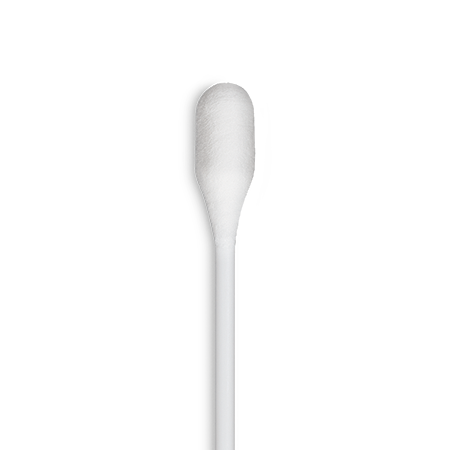 Polyester tipped applicators for diagnostics utilize a synthetic spun fiber originally known as Dacron ®, a DuPont brand name, but now manufactured by others as a generic material. Polyester fiber has been validated for specimen collection in microbiology, rapid test diagnostics, and PCR analysis. This non-absorbent material has excellent collection and release properties. Rayon is a spun fiber made from wood pulp. Like cotton, rayon is soft, absorbent and an economical choice for applications where a synthetic material is needed – like for specimen collection. While produced from natural material, the manufacturing process eliminates any components that may damage the specimen or interfere with transport and/or processing. Calcium alginate, and organic material derived from seaweed, is used to make our Calgiswab ® applicators. Biodegradable and suitable for wound care and STD testing, Calcium alginate contains no fatty acids that may be inhibitory to many strains of gonorrhea. Any fibers that remain after treatment or testing will dissolve and be eliminated harmlessly. 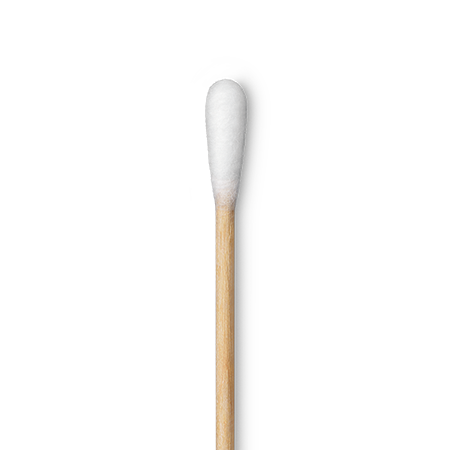 Puritan offers Calgiswab ® swabs in standard tip sizes on wood, plastic or wire. 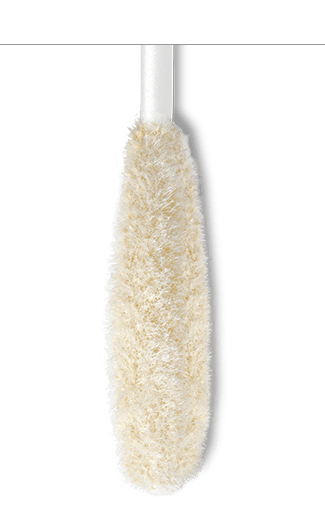 Non-linting medical-grade polyurethane foam tipped applicators are commonly used for industrial cleaning but are also widely accepted in healthcare and diagnostics. Puritan specifies the thickness, width, and porosity of the material purchased from a US manufacturer for use in our controlled environment and medical device products. Unique properties can be specified as needed: hydrophilic being very absorbent, hydrophobic being nonabsorbent, chemical resistant - or even a color other than white – your application will determine which foam characteristics will work best. 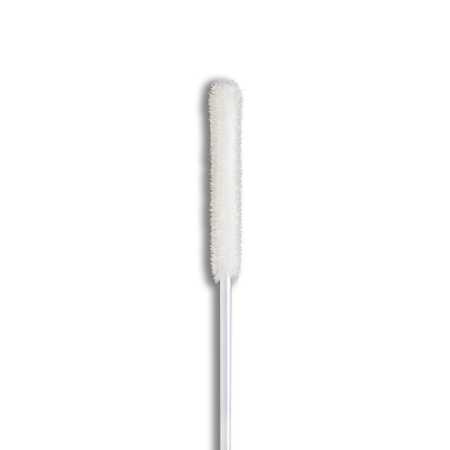 Fabric-tipped applicators are low-lint, low particulate cleaning tools. Using these tips, made from a woven polyester fabric and commonly constructed without soluble adhesives, assures the cleanliness of process required for your controlled environment. Puritan sources fabric directly so they meet our exacting specification. Lengths between 3" and 6"
For a diagnostic swab precisely matched to your specialty application, contact us to discuss a custom configuration.